Exploding mustard, Hula Pom, trading truffles for earrings, and eating in the car. 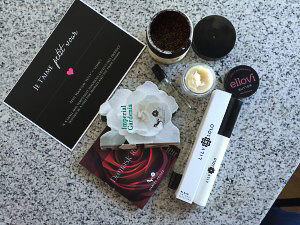 Read on to see what happened at Feed Your Skull this week. The best way to start a good week is with a delicious breakfast. 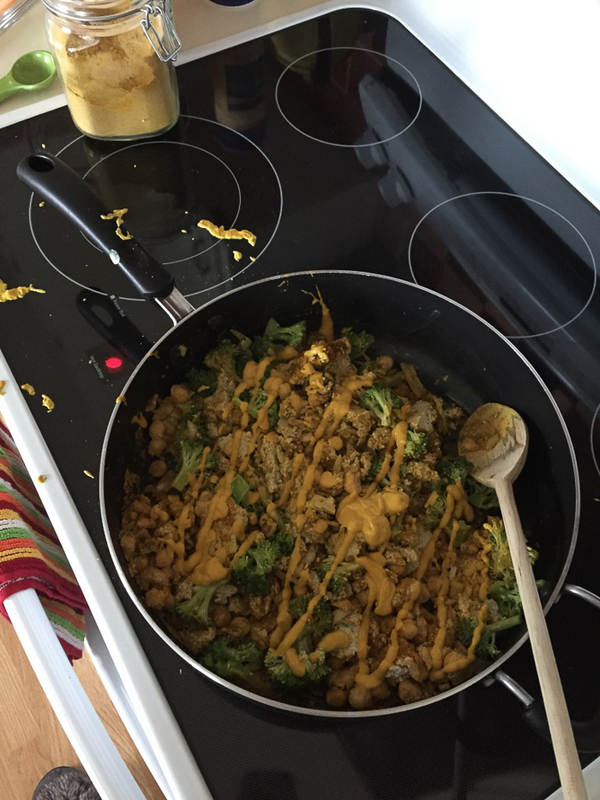 Last Sunday I tried to replicate the tofu scramble filling from our co-op’s breakfast pocket and it turned out really close and so good that I didn’t care if it wasn’t exactly the same as theirs. Side note: when you start to cook and you own three aprons just put one of them on. Just do it. I had a mustard mishap where the lid flew off and mustard went everywhere. Luckily most of it went into the pan. I put an apron on after this explosion and my shirt has been washed, but I haven’t checked to see if the mustard stains came out. Fingers crossed. Recipe coming soon is here! 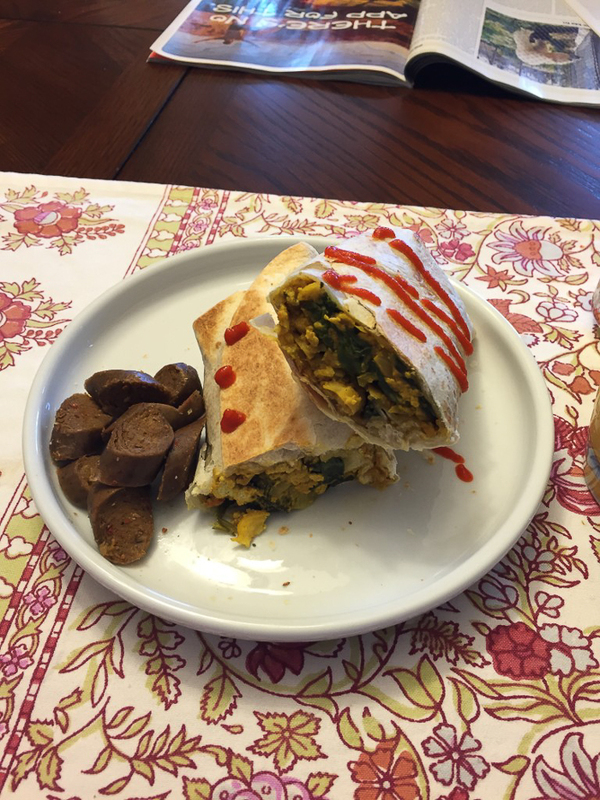 We had these inspiring breakfast burritos with Tofurky breakfast sausages—which I was extremely excited about. They’re just okay. Not much flavor mostly salt and missing the seasoning that I associate with that breakfast flavor. 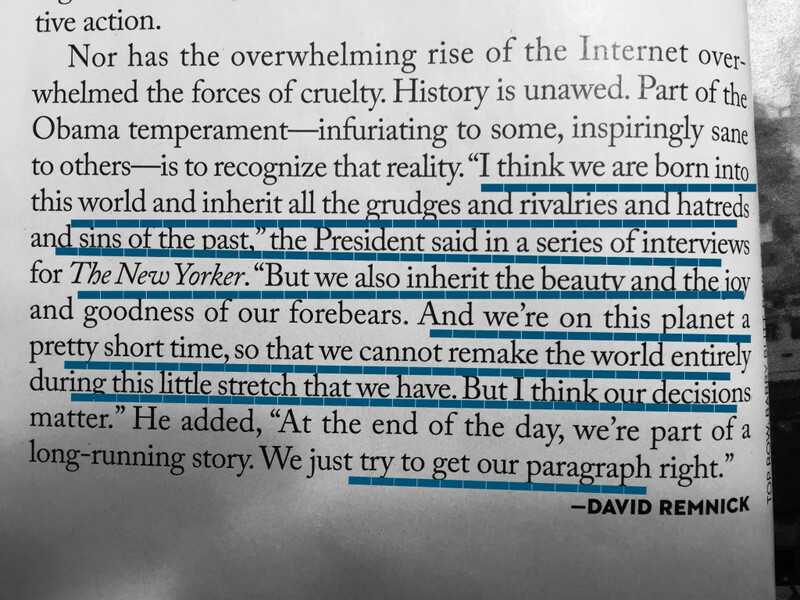 I started reading The New Yorker magazine this week. For the first time ever and I really liked it. The above quote really resonated with me so I’d like to share it here. 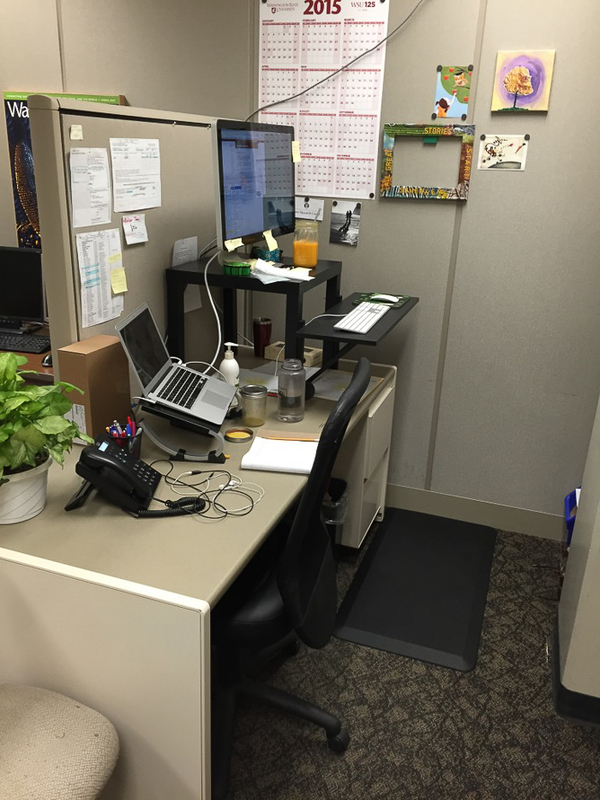 I went the standing desk route at work and while doing that made my area more feng shui. Looking for an improved mental state at work? Let your imagination flow and reenvsion your workspace. I’ve enjoyed it so much that I ordered the table and shelf to make it for my home office. We buy one of two breads during our weekly rotation, fresh-baked co-op bread (sourdough or salted french) or one of the vegan Franz breads. Well, I forgot that I’ve had Ezekiel bread in the freezer for like a year. I love it, but it’s no sourdough, so understandably I forget about it. I made a point this week to use it. It didn’t taste freezer burned at all. Yay! 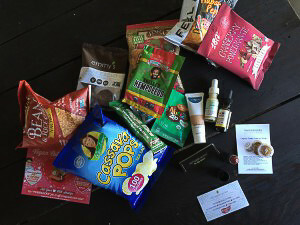 February’s Vegan Cuts snack and beauty boxes arrived as well as Petit Vour! Reviews coming soon. Jeremy made dinner this week. 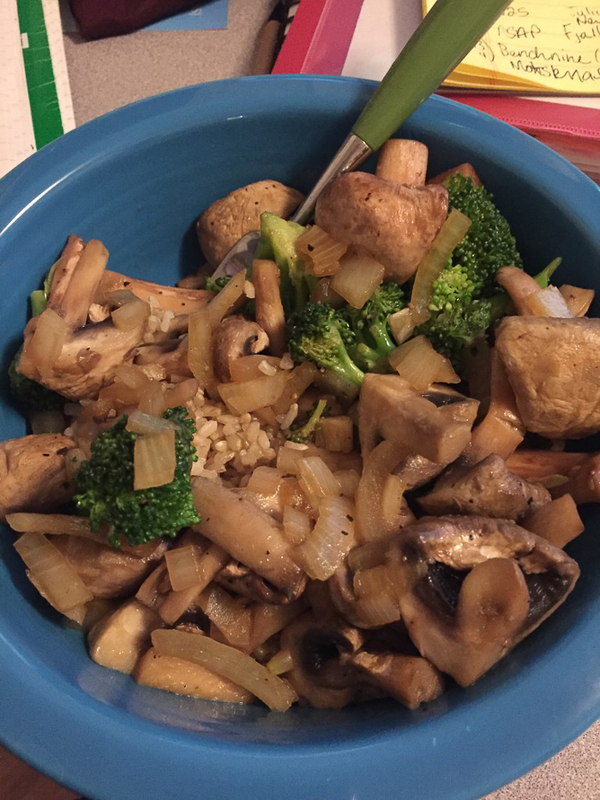 It was one of those $5 boxes of white mushrooms from Safeway, onion, tamari, and a couple of crowns of broccoli steam/sautéed until tender. A wonderful reminder that Jeremy is a fantastic cook if I could just get out of the kitchen more. I hacked the WSU cafeteria this week. I think vegans are talented menu hacks. We are able to scan a menu and pull together a slew of options available that meet our dietary needs within the first 30 seconds. There are 5 restaurants available at the CUB: a smoothie place, Carlita’s (Mexican), Subway, Pizza Perfection, and a Panda Express. At Carlita’s it’s easy to order Chipotle style and piece together a vegan burrito, but that can get old if that’s the only thing you get. This day I decided to get Subway. At first I was going to get a sandwich. I actually haven’t had Subway in months, because I’ve been so disturbed that they don’t change gloves after touching someone’s meat sandwich to making my all veggie sandwich. 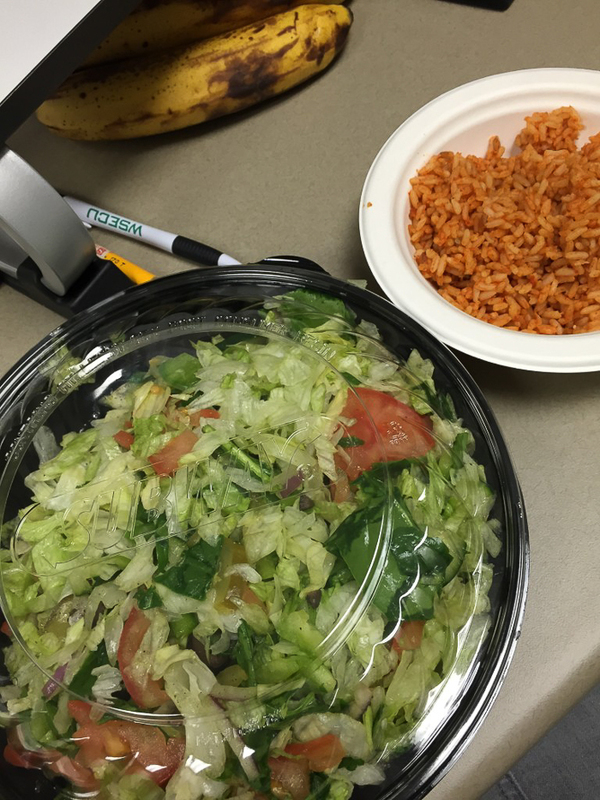 That day I opted for the Veggie Delight chopped salad and supplemented it’s greenery with the Spanish rice from Carlita’s. A little salty, but it’s not an everyday selection so good deal. 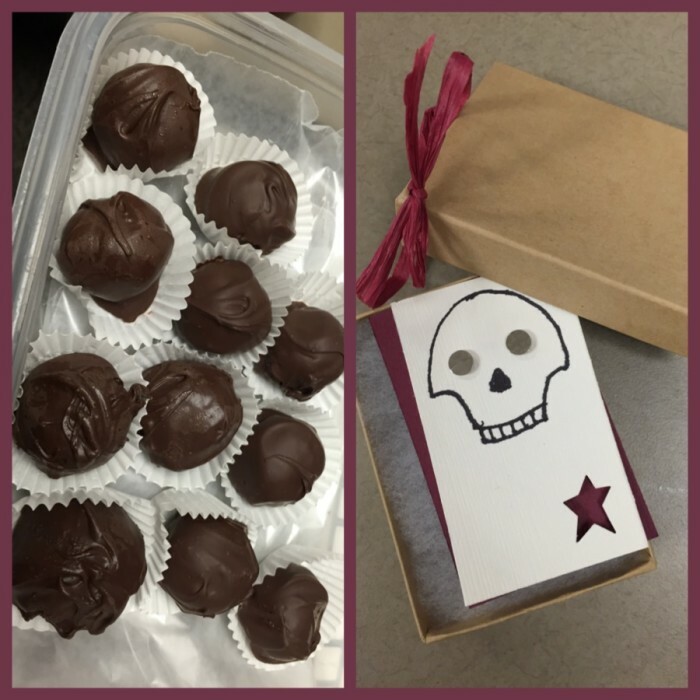 A friend and co-worker of mine worked out a barter where we traded Oreo Truffles for earrings. I was already excited, but that excitement overflowed when I opened the box and discovered her husband had drawn a cute little Ralph Steadman-esque skull around my new earrings. BEST DEAL EVER!!!! Side note: to veganize the truffles, use Daiya plain cream cheese and semi-sweet chocolate chips that don’t have milk in the ingredient list. While driving we stopped off at a Safeway for lunch. 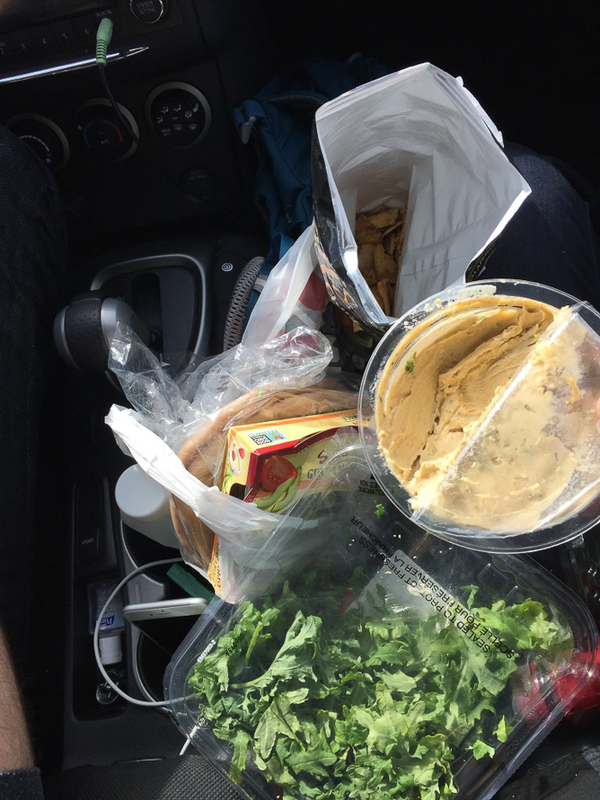 At first glance there were only vegetarian options available at the deli, so instead we grabbed a tub of already washed organic baby kale, garlic and chive hummus, clean ingredient guacamole, and Stacy’s fire roasted pita chips. 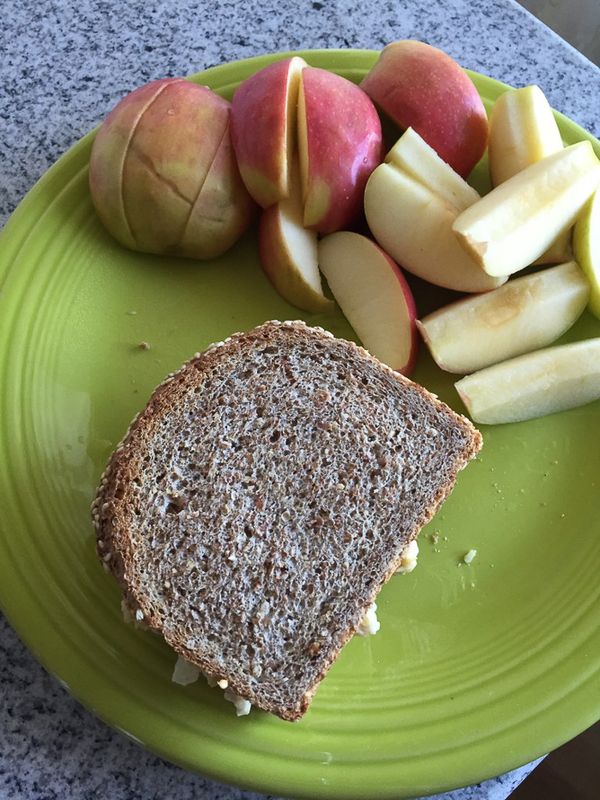 We already had some whole wheat pita bread so we made little sandwiches using the spreads and kale. Fun fact, grab a handful of baby kale, bunch it together and dip it in hummus or guac—it is amazing! It also acts as a napkin if you use it right after having a seasoned pita chip. We went through half a tub of kale this way. 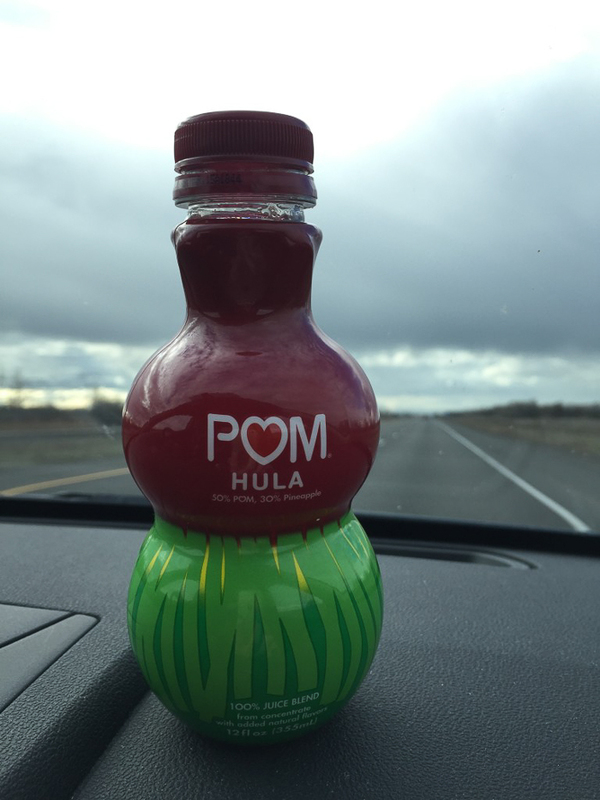 I bought this Pom Hula beverage that is 50% POM, 30% pineapple, and 20% apple juice. Probably one of the most refreshing juice combos I’ve had in a long time. 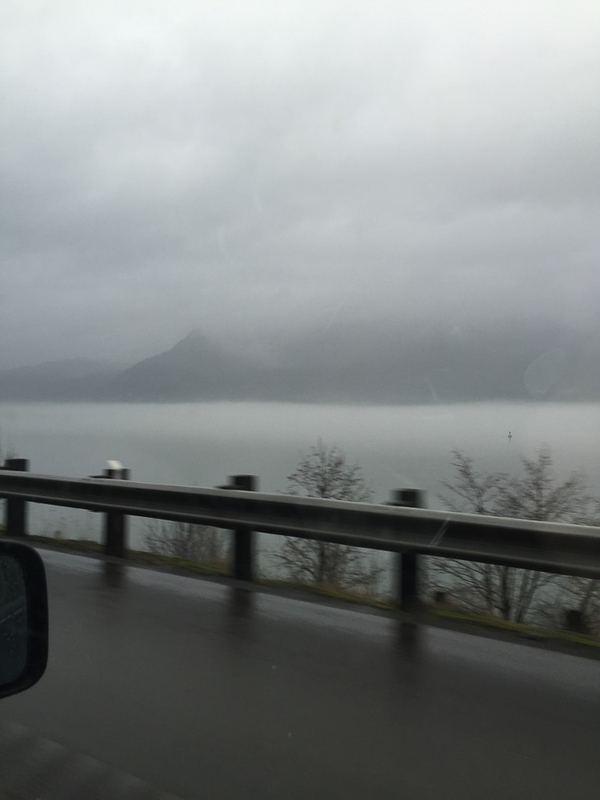 For a final picture, the Columbia River. The river was blanketed in wandering patches of thick fog. It was so mysterious and beautiful looking. I don’t think I had ever seen the river that way.